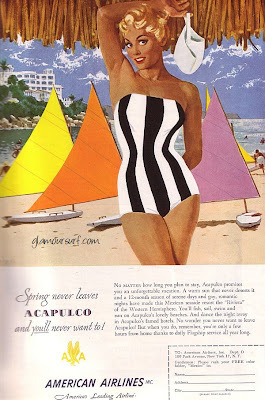 This illustration is for American Airlines from 1953. 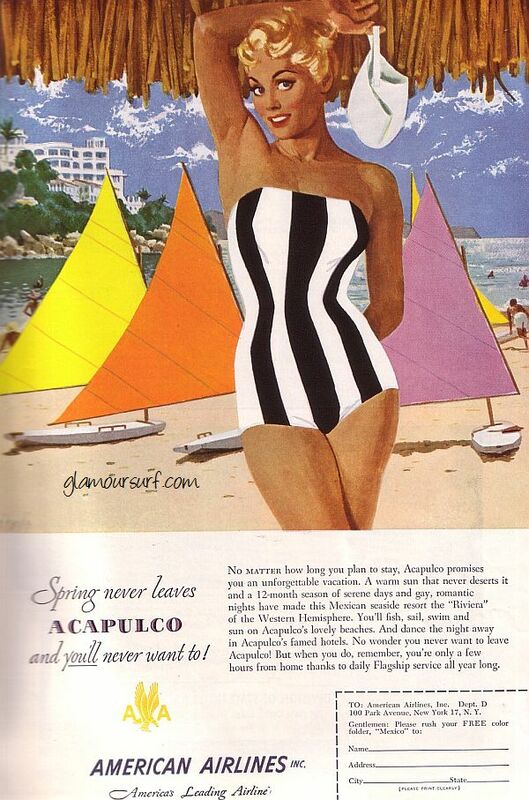 You do want to visit Acapulco don't you? I know I do. 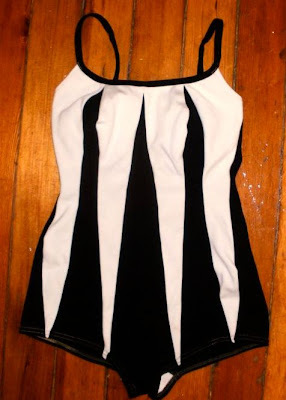 I just love the black and white swimsuit this gal has on. I've got my eye on a similar beauty. Maybe I'll get it and then try and talk DH into a Mexican vacation this fall when the weather will still be incredibly warm down south. Do you know the designer? Cast Your Vote for your Favorite Vintage Website! Was your mom doing this in the 1960s?